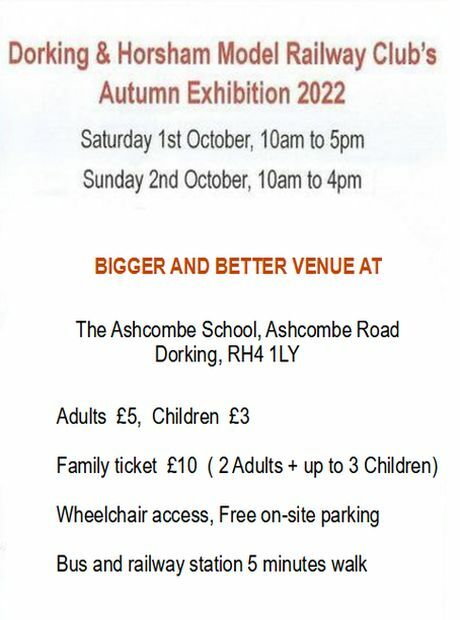 To mark the Club's tenth anniversary, our annual exhibition has been moved to the Drill Hall in the centre of Horsham. 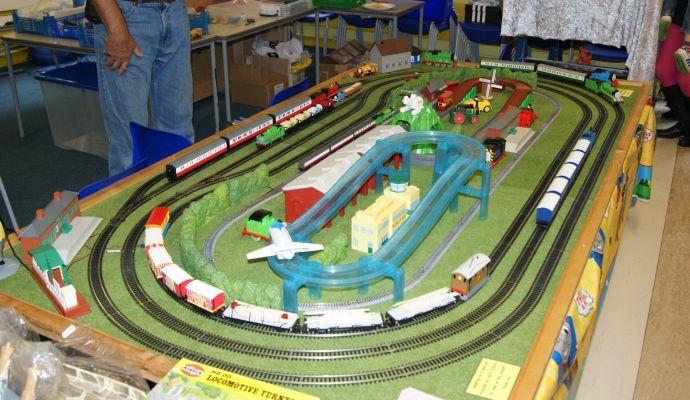 This has allowed us to accommodate larger layouts up to G Scale and to invite many local model railway clubs to participate. 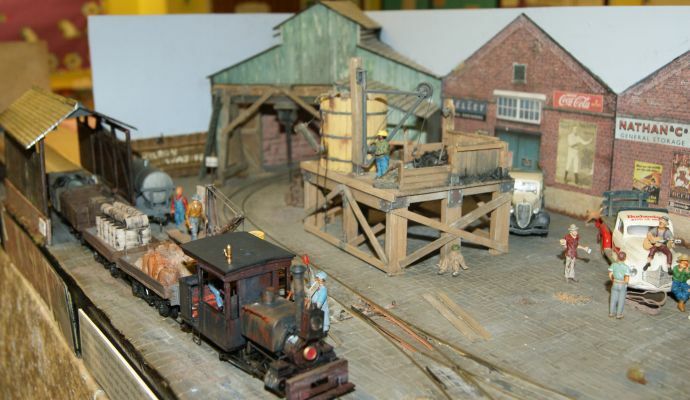 There will be the usual trader support and the Club's second-hand stall will be stocked with locomotives, carriages, wagons and model railway accessories. Refreshments will be available. As usual, new and second-hand model railway items and accessories were for sale on the Club's second-hand stall and refreshments including rolls, home-made cakes, tea and coffee were available throughout the day. 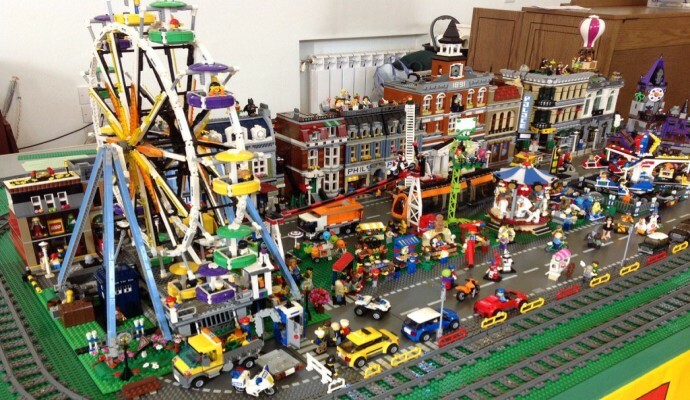 The 'have a go' layout from past shows again proved popular as did 'Brick Lane', a large Lego layout featuring a town of many buildings and a working funfair. 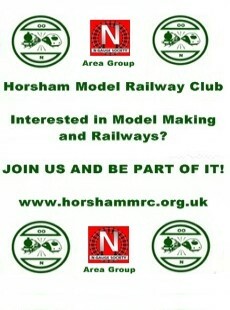 There were new layouts from the Club and members, ablle to show running trains but still very much 'work in progress'. As usual, the kitchen did a roaring trade in rolls, home-made cakes, tea and coffee. 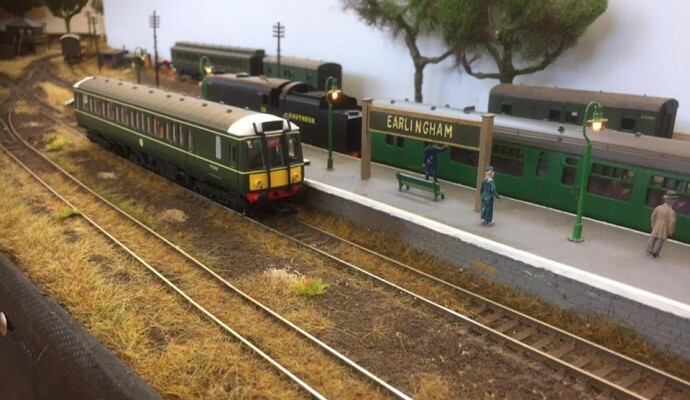 A very successful exhibition was held on 25th April 2015 featuring more layouts than before across a broad range of scales and eras. The 'have a go' layout was extremely popular with children of all ages though required some supervision of the speeds! 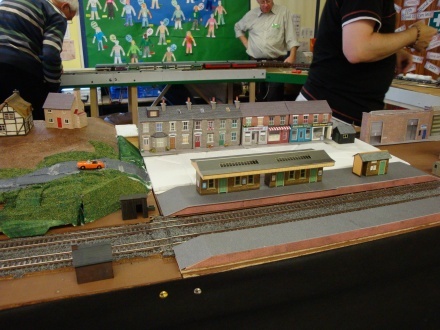 The club sales stall also made a very useful contribution to the layout building funds. High quality refreshments were available throughout the day and were well received by exhibitors and the public alike. Unfortunately we were all so busy we forgot to take any photographs for the website but one of our visitors took a short video which can be seen here on YouTube.Thanks 'shuntshed'! 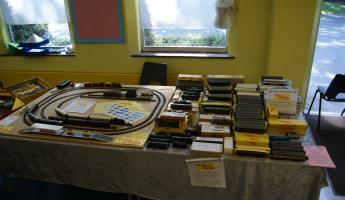 Our second show of 2014 was held on Saturday 25th October. 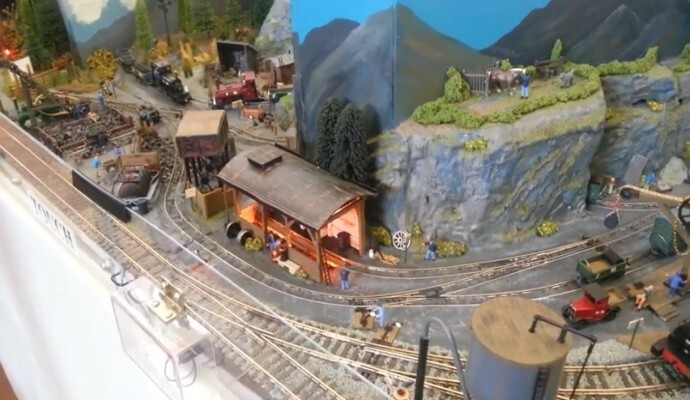 The majority of the layouts on display were N gauge layouts or based on 9mm track. Notable exceptions were two OO layouts, Ashington and Eastbridge, which depict EMU and steam sheds within the Southern Region. 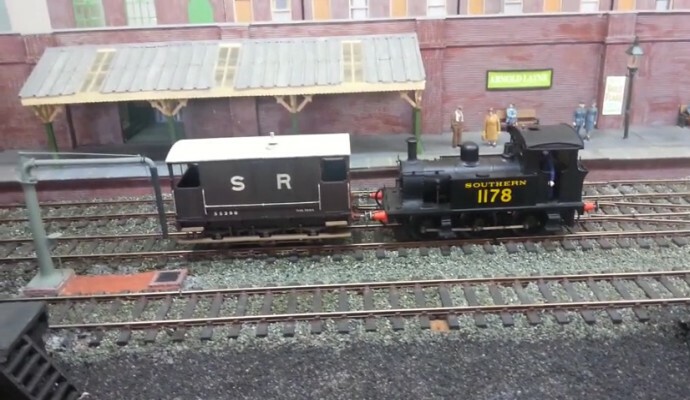 Below are pictures featuring two of the layouts from the Astolat (Guildford) and East Grinstead clubs that were at the show. The Club first major exhibition, making more extensive use of the Hall facilities at St Leonard's Church in Horsham, was held on Saturday 26th April 2014. 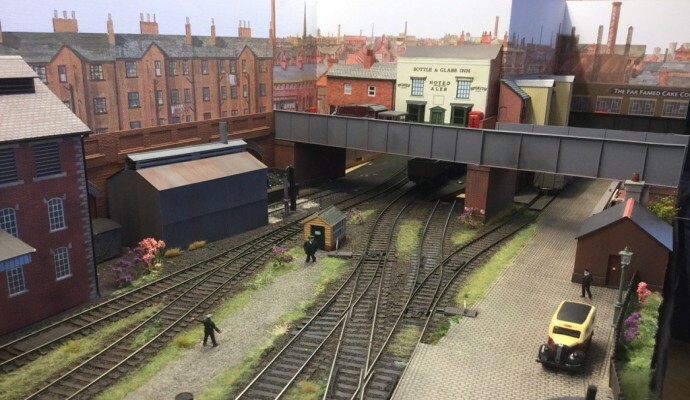 Twelve layouts were on view and visitors were treated to a variety of themes and gauges supported by trade stalls selling secondhand model railway items at reasonable prices and a shunting challenge. 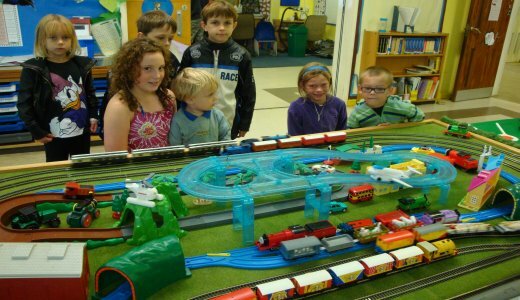 It was encouraging to see many families enjoying the day and it is no coincidence that we have now got a group of children who are members keen to run the model trains on Wednesday Club nights. 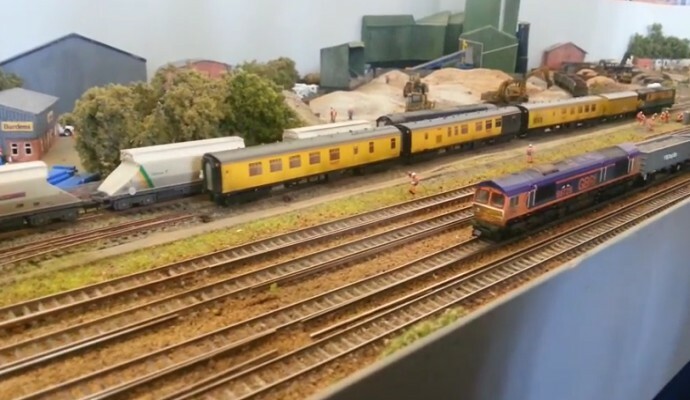 A video of the layouts at the exhibition can be found be clicking this YouTube link. The Club was happy again to support the charity event at Leechpool School in September 2013. 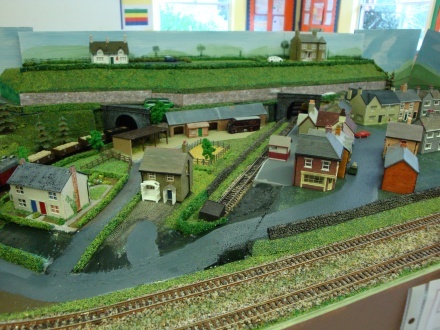 Carfax Junction, a OO Thomas layout and Haven Hill, an On30 layout belonging to a Club member, featured at the School that year. 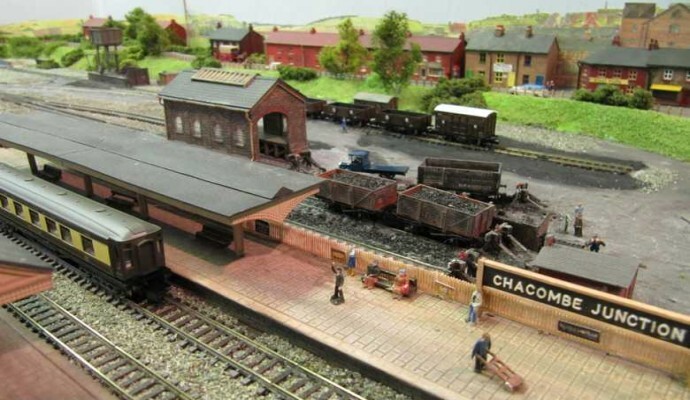 Those layouts were supplemented by a large array of secondhand model railway items offered for sale, which proved very popular. 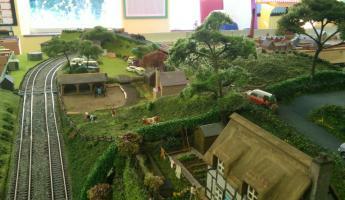 The Club exhibited a number of layouts at the Leechpool School Show again this year. 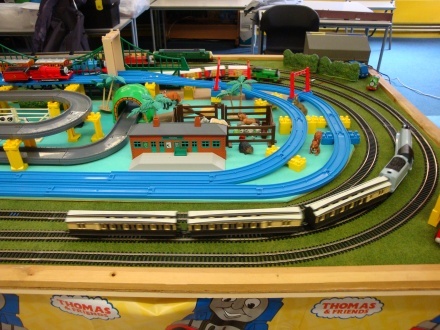 This included Carfax Junction, the Club's dual gauge modular layout, Thomas in G scale and OO and a member's N gauge layout. In keeping with the vintage theme of the show, the Club also showcased the Tri-ang TT collection of one of its members that had been acquired over more than 40 years. This included a working 'train set' together with many locomotives, coaches and wagons in original condition. 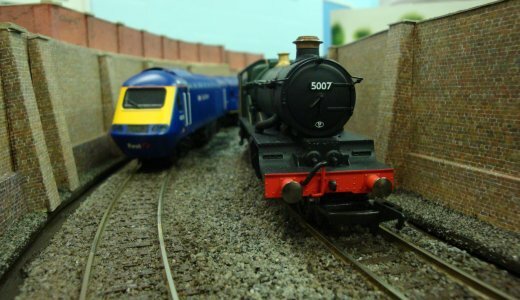 For the second year, the Club was a major exhibitor at the Leechpool School Show which was organised by the Horsham Group of the Sussex Vintage Model Railway Collectors. 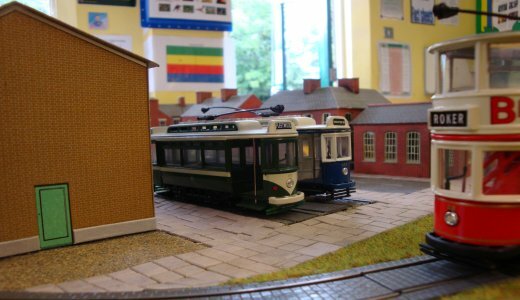 The Club's dual gauge, modular layout, Thomas in G scale and OO and a Tram layout were on show. 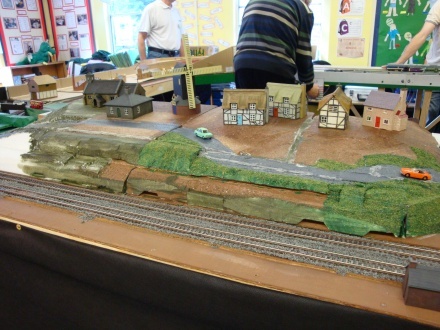 The pictures below show some of the scenery in the latter stages of completion. 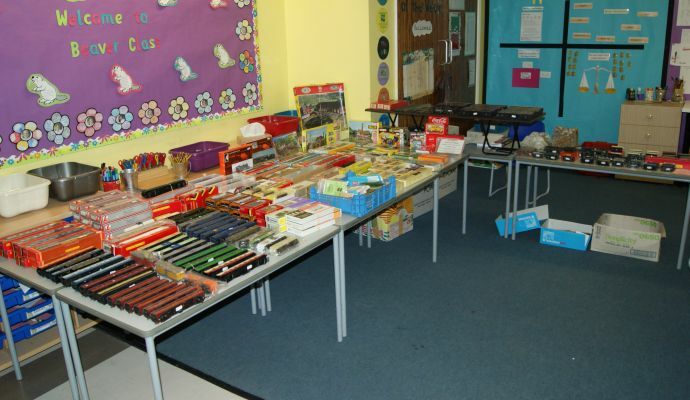 The Leechpool School Show also had old favourites from the past such as Bassett Lowke, Hornby Dublo, Trix Twin and Tri-ang. 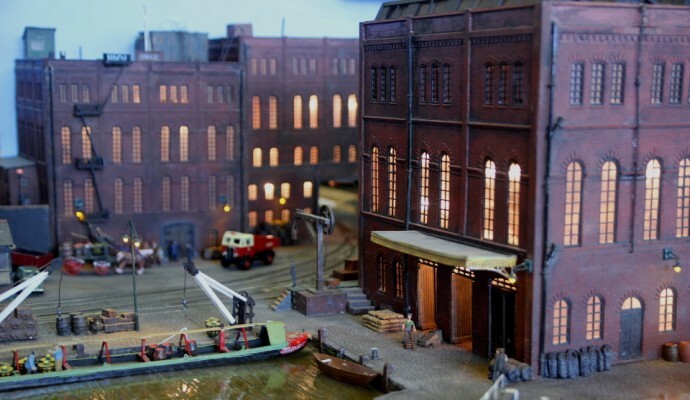 The vintage theme was maintained by the display of two O gauge layouts utilising electric, clockwork and battery-powered models. 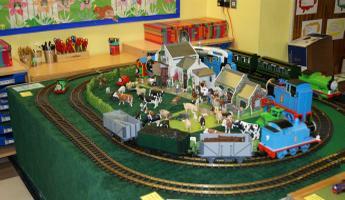 The Club exhibited its dual gauge modular layout and two members' layouts, one N gauge and the other a Thomas the Tank Engine theme, at the Leechpool School Show on 2nd October 2010. 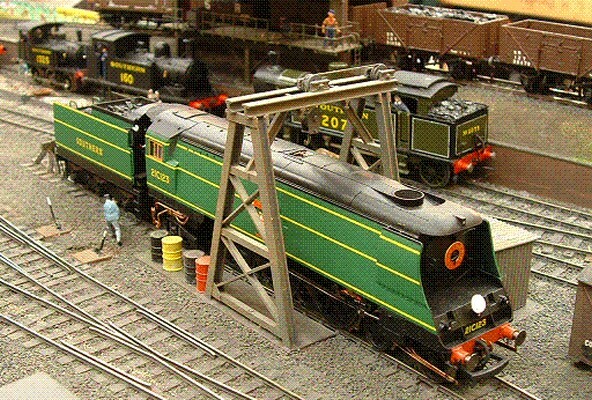 The modular layout was built for use by members on Club nights but, by the time of the Leechpool Show, was being adapted to be suitable for exhibiting. 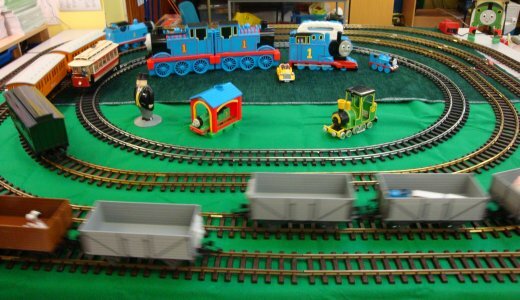 The pictures below show a number of experimental scenery modules which were added and the two members' layouts. 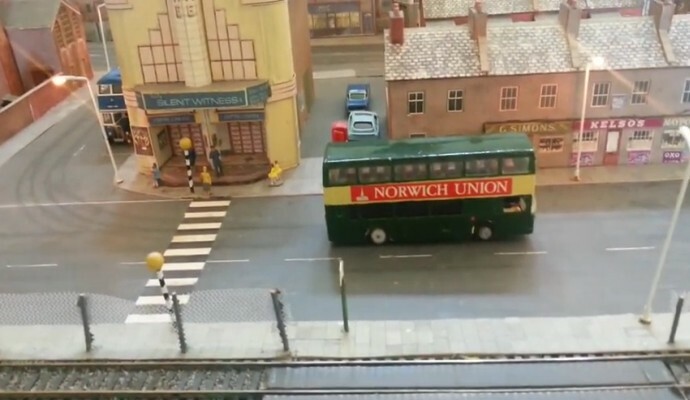 Other features of the Leechpool show were the vintage layouts including Trix Twin and Express, Tri-ang, Hornby Dublo and two Hornby O gauge. 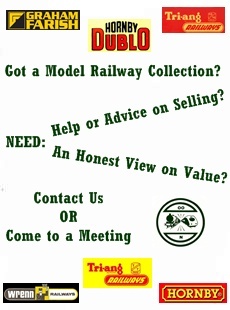 Trade stalls provided a selection of new and secondhand locomotives, carriages, wagons and accessories.